All Wendy’s locations in Canada and the U.S. will go completely cage-free by 2020. All Starbucks locations across North America will go cage-free by 2020. Compass Group, the world’s largest food-service group, will buy all its liquid eggs from cage-free hens — i.e. one million birds. Sodexo and Aramark each will purchase their liquid eggs from cage-free hens by the end of 2020. Taco Bell has set down the shortest timeline: its more than 6,000 locations will be cage-free by the end of 2016. 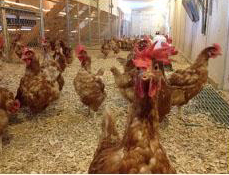 Costco, which had reneged on previous promises to go cage-free, has recommitted to finding a viable phase-in timeline. McDonald's has pledged to make its Canadian and U.S. supply chains fully cage-free within the next 10 years. Subway, which is already cage-free in Europe, will make all Canadian and U.S. locations cage-free by 2025. Carnival Cruise Lines will go fully cage-free by 2025. This is great news for tens of millions of hens, and is a good sign overall of the growing corporate awareness of animal welfare. As these companies clearly recognize, cage-free is good for business, and it’s good for animals too. And if you haven't yet, please help chickens by taking action at Helpthechickens.ca. Maple Leaf Foods has announced a formal Animal Care Commitment that Mercy for Animals has called “game-changing”. The commitment centres on a 3-year Animal Care Strategy based on the Five Freedoms. The strategy will see improvements in everything from use of pain medication and CO2 stunning to more humane euthanasia and conversion to open housing. Along with prescribing better care for animals, Maple Leaf is advocating stronger policies for enforcement — i.e. remote video auditing in company plants, and “enhancements to on-farm poultry audits including increased transparency and comprehensive annual independent audits”. There is also a commitment to “modernization of federal Animal Transportation regulations” — something CCFA has strongly advocated for years. Read Maple Leaf’s full announcement. 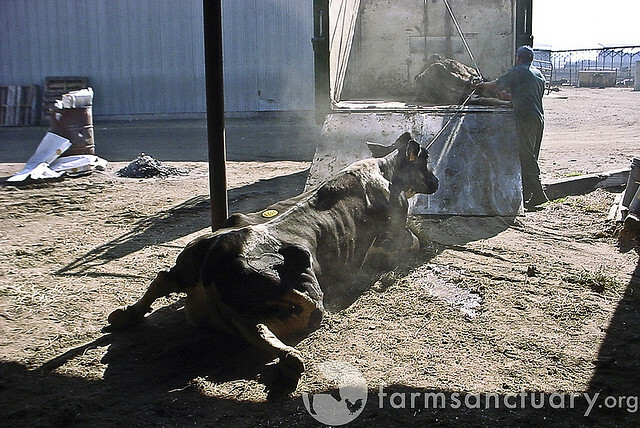 An Ontario farmer’s recent conviction is a reminder that downer farm animals continue to be shipped to slaughter — despite it being illegal and downright cruel. The farmer, Albert Kuper, was fined $3,750. Learn more about AAC’s lobbying to stop the transport of downers, and read OMAFRA’s full court bulletin on the recent conviction. To report a sick or injured farm animal, contact your local SPCA or police, or a provincial agricultural agency such as the OMAFRA Regulatory Compliance Unit. What do the likes of Samuel L. Jackson, Peter Dinklage, Mayim Bialik and Russell Brand have in common? 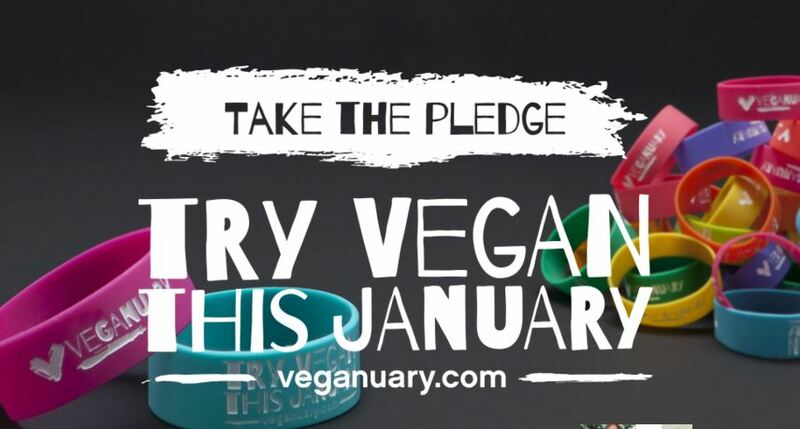 They’re all vegans, and they can all be found on the website for Veganuary, an initiative that’s now in its third year and is gaining so much momentum that the site has posted a message asking people to be patient if they can’t access a page due to high volumes of traffic. Veganuary was started in the UK in 2014 and initially had 3,000 supporters. This year, 50,000 people are expected to take part. The website is already available in several languages, with plans for further translation. While (post-holiday) health is a key motivator for many supporters, the #1 reason they get involved is concern for animals. “We ask about motivation when people sign up to Veganuary and, for the past two years, animals are the primary reason by a large majority, with health coming second, and the environment third,” marketing manager Clea Grady told The Guardian. The site profiles many well-known vegans — including, under ‘Animal Activists’, Canadian photographer extraordinaire Jo-Anne McArthur. To learn more and get a veg starter kit, visit veganuary.com. 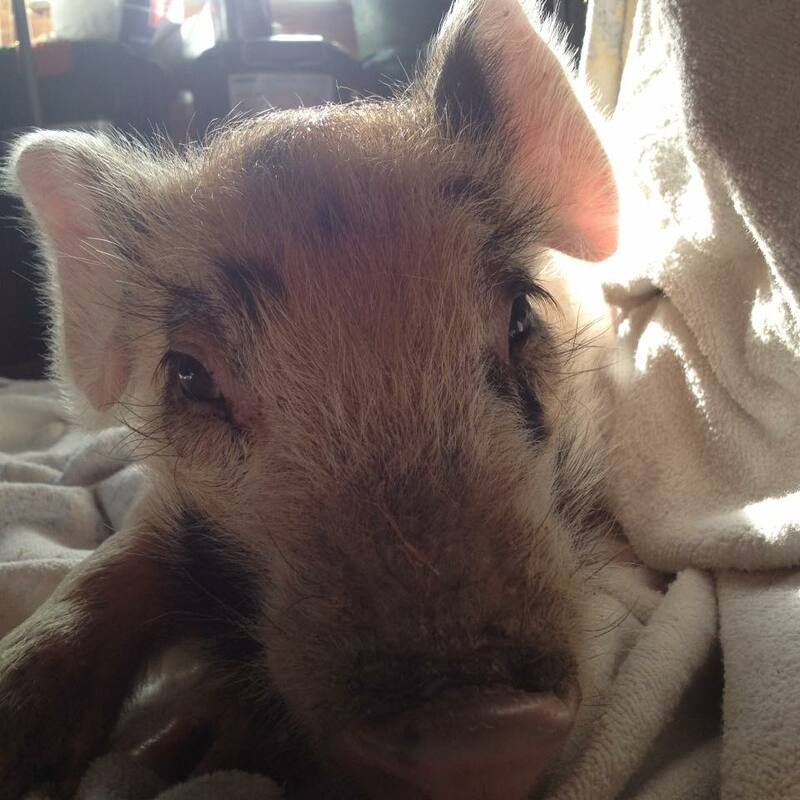 D’arcy is one handsome — and remarkable — pig. 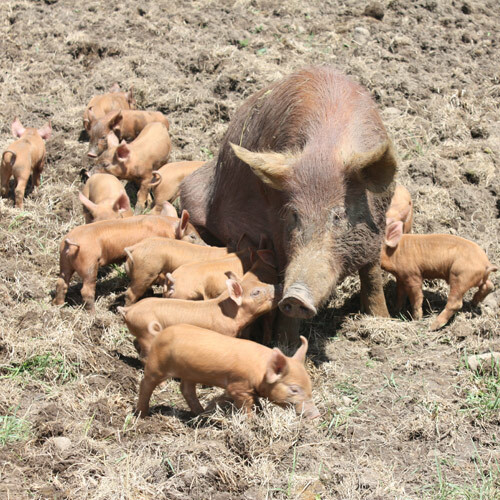 He came to Cedar Row Farm Sanctuary with porcine respiratory & reproductive syndrome (PRRS). He’d been found in a box on the side of the road and been taken to a nearby humane society. Arriving at Cedar Row last October, he was very sick and underweight, with chronic diarrhea and complications that normally would have killed him. However, with surgery and a lot of TLC, he’s managed to pull through. He's now 3 months old and is settling into his new digs quite nicely. Huge kudos to Siobhan and her gang at Cedar Row for helping animals like D’Arcy find happiness and health in a loving home. If you received our fall fundraising letter in November and (like we did) got so caught up in the holidays that everything else got pushed aside, well... it's never too late to give! Your generosity is always appreciated — and while you're at it, think about becoming a monthly donor. Regular monthly donations are especially helpful because they let us plan ahead with funds we know will be there. You can donate using the appeal form we sent you, or you can click the Donate button in this newsletter. You make our work possible — a warm thank-you for your support. If you have feedback... or a rescue story to tell us, or a vegan recipe to share, we'd love to hear from you. Email us at info@humanefood.ca. Anne Griffin is not only an enthusiastic CCFA supporter, she’s also the woman behind our Facebook page. Just in time for Super Bowl, she’s sent us this chili recipe that she serves with cornbread from Colleen Patrick Goudreau’s Joy of Vegan Baking. A quick tip: If you want to adjust the heat, swap out the chilies for jalapenos. For everything you do, Anne, thanks so much! 1. Chop onion, garlic and chilies (Anne uses a food processor). 3. Add soy ground round and stir until broken up. 4. Add stock, corn, tomato paste, oregano and salt; cook for a few minutes until corn is tender. 5. Drain the can of beans and add to pot; cook for another two minutes. 6. Mix cornstarch with water and add to pot mixture to thicken. Copyright © 2016. The Canadian Coalition for Farm Animals. All rights reserved.